Europe is a gourmand’s paradise. Each region has its own distinctive and delicious cuisine, and a walk down the street in most European cities is a dizzying tour of the delicious smells wafting from cafes, restaurants and bars. The sheer number of places to eat, however, can be daunting. If you don’t know what you’re doing, it is very hard to choose the best possible restaurant and avoid tourist traps. These tips take some of the mystery out of choosing the right place to eat, and with them in mind you should never have to eat a bad meal in Europe. Most European cities have certain restaurants that are renowned for inventing famous dishes or for their historical importance. For the most part, these restaurants should be avoided. While it is true that these places became famous for a reason and were probably excellent at some point, they often devolve into overpriced tourist traps that coast on their reputation and serve mediocre food. Some of the best food in any city is served in places with no seating, like food carts and hole­in-the­wall takeout joints. These sorts of establishments can’t rely on providing a pleasant atmosphere and a luxurious dining experience to keep customers happy. They live and die on the back of their food, and their product reflects that. Small places like food carts also tend to do a high volume of business with very little storage space, so you know your food is going to be prepared fresh instead of being retrieved from under a heat lamp. While you should certainly dive into the native cuisine of whatever European country you’re in, you shouldn’t limit yourself just to the local food. Many European countries have large immigrant populations that bring their distinctive flavors to their adoptive homes, and you’ll notice that locals eat just as much of this food as they do their native cuisine. Follow their lead! For example, you can’t leave Germany without eating Turkish food, and the U.K. has some of the best curry in the world. This tip should seem obvious, but so few people actually do it! Though guidebooks and Yelp can be invaluable resources, they can’t begin to equal the average local person’s knowledge about what is good to eat. It can seem awkward to strike up a conversation with a stranger, but most people are happy share their favorite places. I’ve found that it’s better to ask people who work in the neighborhood you want to eat in rather than random passerby on the street, because you know for sure that workers spend a lot of time in that area. When you’re deciding what cafe to get lunch in after seeing some art, just ask the person at the front desk. They will know exactly where you should go. 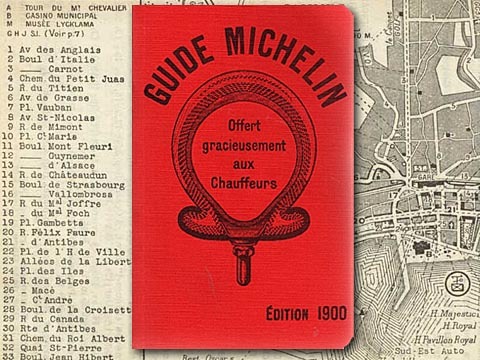 The Michelin Guide is the go­to resource for finding the absolute best cuisine available in Europe. Its ratings are much more reliable than the ones in Yelp or in most guidebooks, because they are the product of a highly qualified team of professionals and are updated every year. You know that a place has seriously good food if it has a Michelin star. If budget is a concern, check for restaurants that have been labeled Bib Gourmand, which means that they won’t break the bank. Alternatively, you can check if the chef of a place with a Michelin star operates a more informal, lower­priced bistro. These places often serve food that is just as good as the stuff at their fancier siblings. Before your trip, take some time to look up what the area you’re going to does well. In North America, we tend to think of different European countries as having monolithic, uniform cuisines, but in reality different regions of the same country can specialize in completely different types of food. For example, Italian food is often thought of by North Americans as being synonymous with the use of tomatoes and olive oil. This kind of cooking, however, is only traditional in southern Italy. In the north, while pasta with tomato sauce and olive oil is available, it is a more recent innovation and often not very good, so if you’re up there stick with more traditional meat and butter based dishes. This kind of thing is true for most European countries, so make sure to have at least a little familiarity with the regional cuisine to have the best possible dining experience.